Journal of Drugs and Ecotoxicology offers an open access platform to discuss the emerging research that would trace all the adverse effects of prophylactic and therapeutic drugs on humans while suggesting the safety measures to avoid the toxic effects of drugs. The journal also prominently presents the research tracing the entire clinical and pharmaceutical procedures leading to novel drug design and discovery. 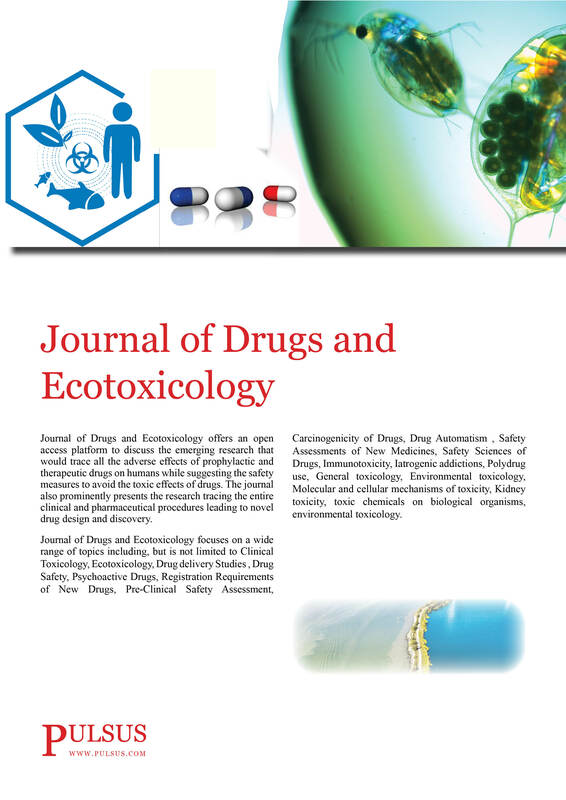 Journal of Drugs and Ecotoxicology focuses on a wide range of topics including, but is not limited to Clinical Toxicology, Ecotoxicology, Drug delivery Studies, Drug Safety, Psychoactive Drugs, Registration Requirements of New Drugs, Pre-Clinical Safety Assessment, Carcinogenicity of Drugs, Drug Automatism , Safety Assessments of New Medicines, Safety Sciences of Drugs, Immunotoxicity, Iatrogenic addictions, Polydrug use, General toxicology, Environmental toxicology, Molecular and cellular mechanisms of toxicity, Kidney toxicity, toxic chemicals on biological organisms, environmental toxicology.